My sister called me up last Thursday saying she wanted to deliver something. Here’s what she brought! She and my 5 year old niece made these cute owl cupcakes. They also brought a Get Well card for my husband who broke his hand/wrist. How sweet is that!? 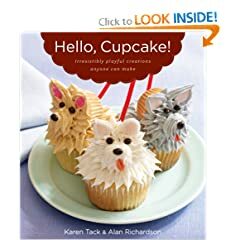 They made the cupcakes following directions from this fantastic book. 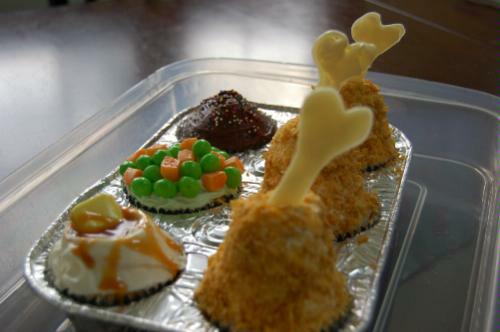 They even have cupcakes that look like TV dinner food! You are currently browsing entries tagged with owl at Whisker Graphics.